Before the elbow in the factory every mostly use the elbow cast stone. 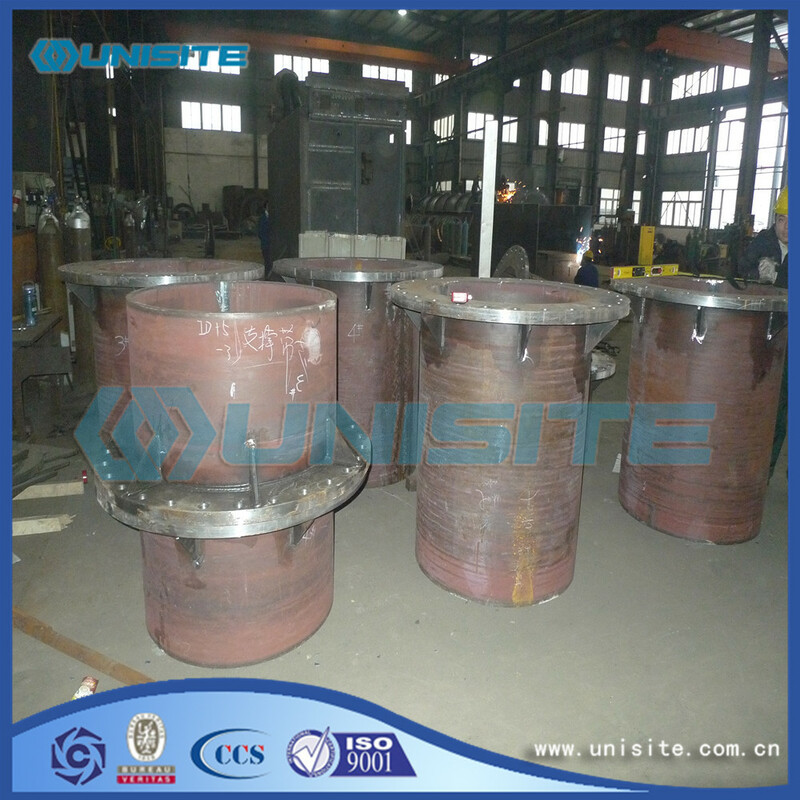 The characteristics of this material is fragile, cracking, and wear the backpack, 25-35 mm wall thickness, some nearly 40 mm, inside short time worn after cracking, pulverized coal with the slot outward side wear, its life will only one overhaul period. And there are often air holes, easy to stay hidden, once worn, the scene can not be repaired. 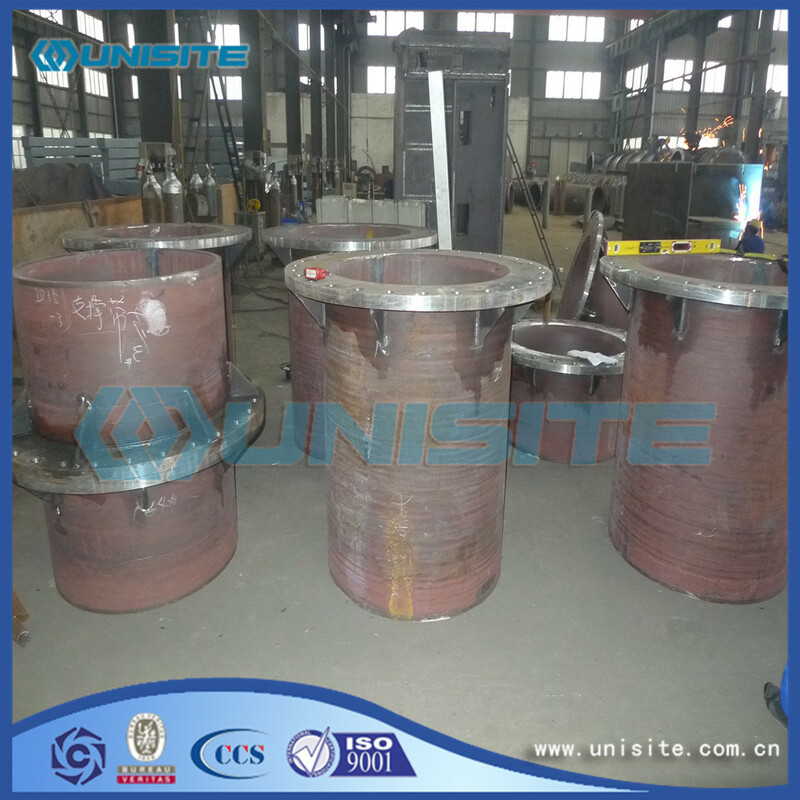 Cast steel (including alloy steel) is widely used in the field of anti abrasion, and its manufacturing process is relatively simple. But due to the limitation of the limitations and the process performance of the material itself, cast steel material surface hardness (about 60) is far lower than the ceramic (above 80), wear-resisting performance is only in ceramics is one of a few to a lower, specific data see of powder metallurgy, Central South University of wear test report report and Kyushu in Japan Industrial Ceramics Research Institute injection wear test results), with the manufacturing of elbow has put into operation more than a year grinding wear. 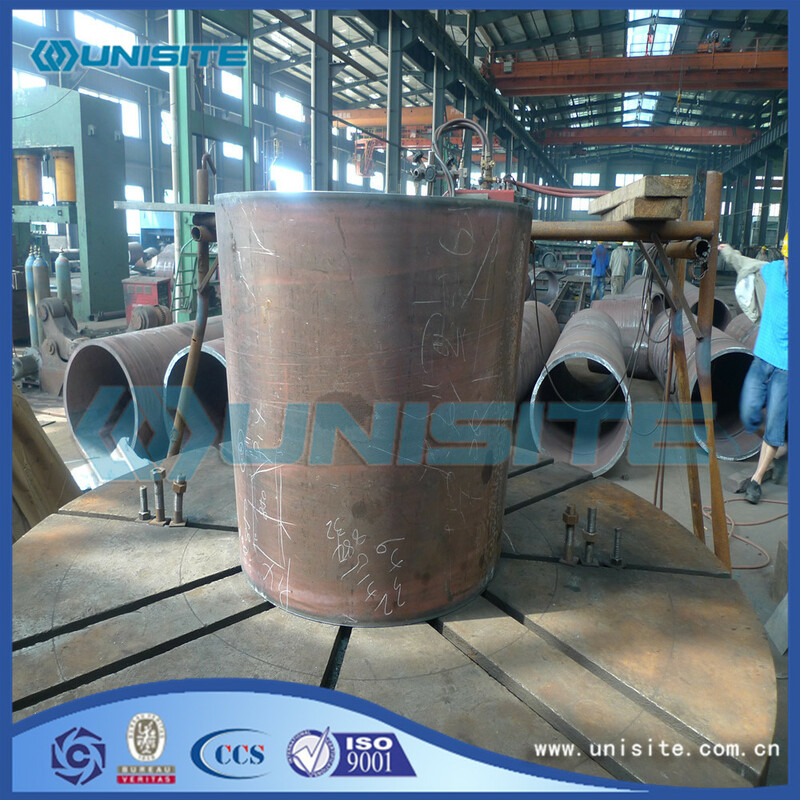 In addition, cast Steel Pipe thickness is large, very heavy, and carbon content is high, can be relatively poor welding, the need for on-site welding heat treatment, to the site of the installation and maintenance to bring considerable difficulties. 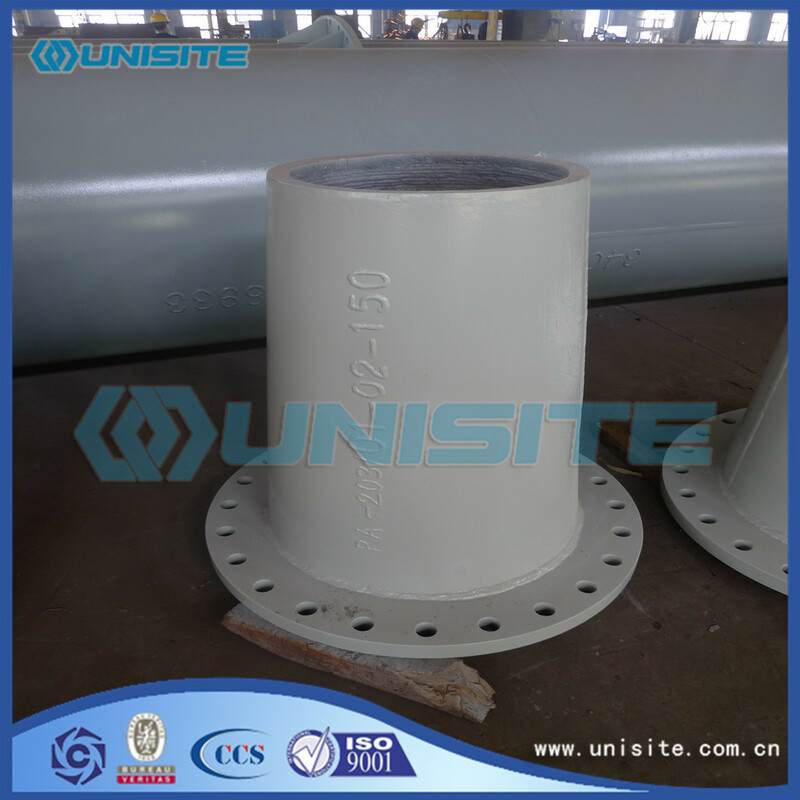 The process uses the method of sticking agent, the ceramic film is put on the glue, and in the inner wall of the steel pipe, the time is long and easy to fall off. In addition, from the boiler hanger bearing capacity, cast steel elbow, sticks ceramic elbow is to weight and thickness to win, some elbow wear wall thickness of more than 40 mm, from the perspective of the design unit, no doubt to the hanger increased weight, shorten the service life. The elbow of the market price is: Alloy 18000 yuan per ton or so, cast stone elbow 13000 yuan per ton, stick ceramic elbow per ton of 2 million yuan. These kinds of elbows are particularly heavy, they are based on the weight of their profits. That is to say, the price of a alloy elbow is wear resistant ceramic elbow twice, with an alloy elbow money, you can buy two wear resistant ceramic elbow, the service life of the wear resistant ceramic elbow is 2-3 times that of the alloy elbow, with price and service life than it is to use alloy elbow 1 / 5 of the money to buy a wear resistant ceramic elbow. For example: the powder delivery pipe 2 * 600MW supercritical unit, the diameter is 530 x 10, a 90 degree bend, bending radius R=1700mm, adopts cast steel elbow or double metal composite elbow, the weight of W=1700kg, the total weight of all the elbow (2 Taiwan furnace) is about 500 ~ 600 tons; while the composite ceramic abrasion resistant ceramic elbow, its weight is only about W=450kg, the total weight of all the elbow (2 Taiwan furnace) is about 110 ~ 130 tons; comparison can be seen, the ceramic lined composite wear-resistant ceramic elbow, the elbow is the most direct weight is greatly reduced, the investment savings of at least 2 million above (or double metal composite cast steel elbow elbow unit price by 12 thousand yuan / ton), not including a decrease in weight so as to reduce the load of civil coal bunker frame girder economic benefit, and brought to save the economic benefits of the support material. Above from the performance and price of several materials of the elbow is compared, visible wear bend whether the initial investment or operating costs are the most cost-effective! Looking for ideal Wear Resistant Material Pipe Manufacturer & supplier ? We have a wide selection at great prices to help you get creative. All the Wear Resistant Thick Wall Pipe Material are quality guaranteed. We are China Origin Factory of Wear Resistant Loading Pipes Material. If you have any question, please feel free to contact us.